THIS SONG CAN BE USED AS A LISTENING TEST, IT HAS DIFFERENT TYPES OF EXERCISES. This is a song with different listening activities such as: choose the best answer, match verses, complete verses and answer questions. I hope it would be useful for you. 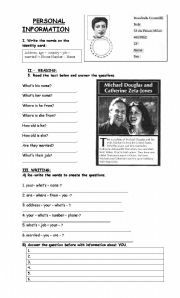 a grammar guide about possesive�s in the family context. 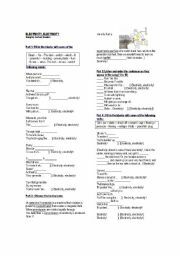 worksheet N� 1, a song and video to start presenting vocabulary about electricity. 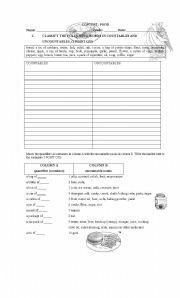 Worksheet n� 2, a listening activity to learn electricity vocabulary. a practical guide to dicriminate between countables and uncountables.